Abstract : This paper investigates the use of color information when used within a state-of-the-art large scale image search system. We introduce a simple yet effective and efficient color signature generation procedure. It is used either to produce global or local descriptors. 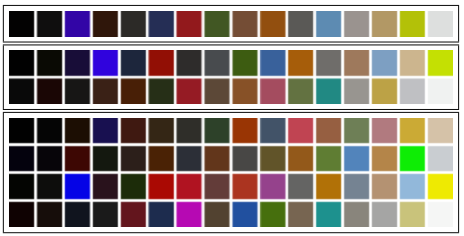 As a global descriptor, it outperforms several state-of-the-art color description methods, in particular the bag-of-words method based on color SIFT. As a local descriptor, our signature is used jointly with SIFT descriptors (no color) to provide complementary information. This significantly improves the recognition rate, outperforming the state of the art on two image search benchmarks. We will provide an open source package of our signature.